The MTS programme requires 20 course credits. One credit is given for each semester course successfully completed. Normally, courses meet once a week for two hours. 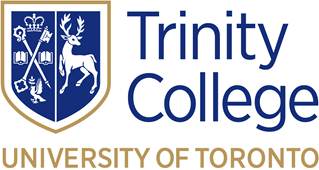 Courses are offered at Trinity College and at the other cooperating schools of the Toronto School of Theology, and are listed in the TST course calendar. These must be supplemented by two further courses in each of the four programme areas (Biblical, historical, theological and pastoral studies), for a total of eight credits. All students must enrol in a one-credit course of independent studies in their final term in which they will engage in a summative reflective exercise resulting in a substantive report or major paper. The summative exercise may also be a work of graphic art, a musical composition, a poem or other creative piece, with accompanying written commentary. Those considering the possibility of further graduate work in theology are advised to complete a two-credit thesis (see below) as the summative reflective exercise. The remaining five or six courses are electives, permitting students to concentrate their studies in areas of particular interest. To qualify for the MTS with Concentration in Orthodox and Eastern Christian Studies, at least 12 of the 20 credits must be from courses in Orthodox studies. To ensure sufficient breadth of knowledge and understanding, at least two credits of the MTS should be from non-Orthodox courses at Trinity College or other schools within TST. Students planning advanced degree study should include an ancient language in their programme and note the further requirements of the department under consideration.